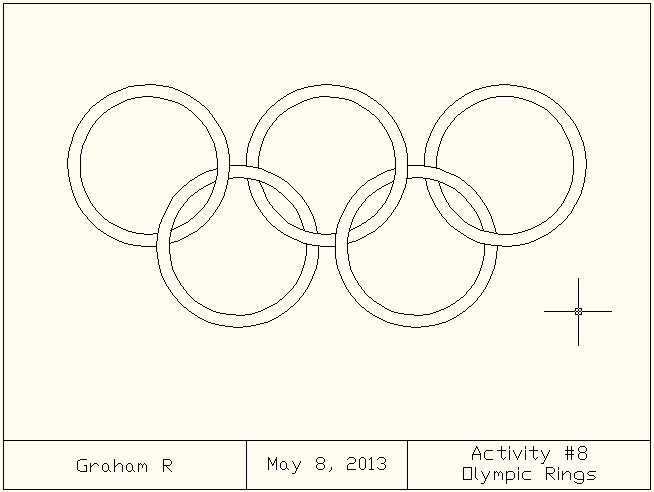 Create circle then use OFFSET, MOVE and TRIM to make the Olympic Rings! Copy these images (or one you find on the Internet that is similar). 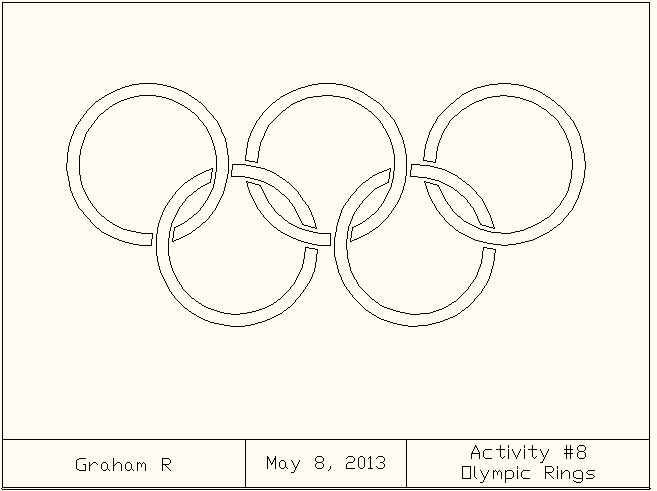 Copy the circles so they match over top of the picture in the exact locations of the other rings. Use Trim to clean up the rings. Start with the 8a rings, and use more OFFSET rings (that you will delete later) to create the gaps between the rings using TRIM. 8A: Do this one first. 8B: Do this one second. Save these drawings as "Activity-8a.dwg" and "Activity-8b.dwg".